The recent economic times have been nothing nice to various segments of our society. We’ve gone from a thriving economy with heavy spending and producing, to a cost-cutting, output-reducing job-slashing entity, with more and more American’s left in confusion. Many are wondering how a country like America, with such advanced technology and highly educated residents, could be in such turmoil. America in another depression? In 2009? You gotta be kidding, right? The labor industry has been hit pretty hard by the suffering economy. In May of this year, the unemployment rate was at 9.4%, with payroll employment down 345,000. As a result, and positive point for stakeholders, employee productivity was up 1.6% in the first quarter of the year. This is clearly due to the rate and mass of jobs being eliminated or postponed in their respective industries. Seeing your counterparts or even coworkers getting laid off definitely pushes you to work just a tad harder, aiming for the “halo effect”, so to speak. Unfortunately, this has been reported to be less of a saving grace than the new hard-workers know it to be. Believe it or not, many of those who lost their jobs were hard-working and likely even more hard-working than those left trying to up their ante in the employment game. Economic Times: Don't like what you see?? Over the last few weeks, we've mourned the death of the greatest entertainer who ever lived. Although this humanitarian was an icon to us, as Janet it so eloquently put it, he was family to them. So, with these thoughts in mind, why does the media feel it's our business to know whether or not his 3 kids were actually "his". First of all, we all appreciate our privacy, and I would bet all I have, Michael was no different. 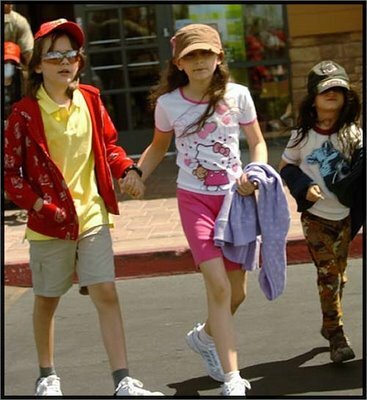 Second, looking at those kids, even with the Debbie Rowe-requested veils on, they do not look like they have much African-American in them; let's just be real. More importantly, in our society, what's on the birth certificate is was trumps anything else, so making such a spectacle over whether Mike's dermatologist was the daddy, if the kiddies were created through a random sperm donor, or maybe, just maybe they are MJ's biological kids, let's put this matter to rest and honor Mr. Jackson's request : Leave them ALONE!